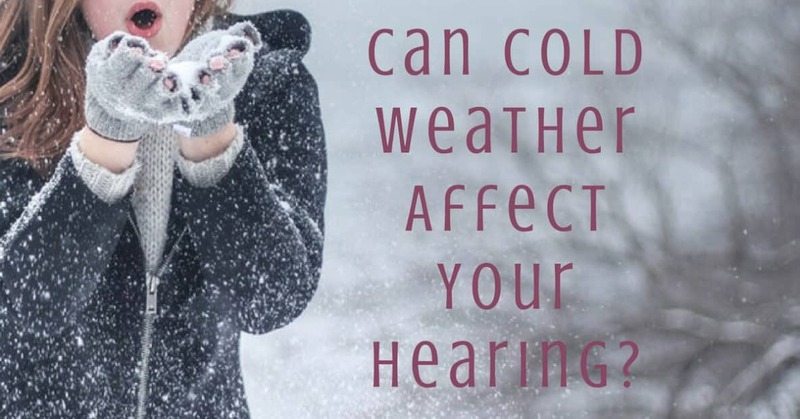 Can Cold Weather Affect Your Hearing? Winter and its extreme cold can actually lower our immune system’s response to viruses, new research suggests. Sniffles and coughs are certainly more common in this bracing season, but did you know that winter weather can cause problems with the hearing as well? “Surfer’s ear” and hardened earwax are two conditions that sometimes arise in freezing temperatures, and both can lead to diminished hearing. Read on for an overview of these conditions, and a few tips on how to care for your ears in the cold days ahead. Prolonged, repeated exposure to cold wind and water is bad for the ears, but not in the way that you might think. It is the ear’s own defense mechanisms as it reacts to the cold that can result in hearing damage. “Surfer’s ear” or exostosis is most common among surfers, who spend a lot of time in cold water, but this condition can also develop in anyone who frequently exposes their ears to water and cold wind. What exactly is “surfer’s ear”? This is a medical condition in which in which an abnormal growth of bone forms in the ear canal, on top of an existing bone. The bone around the ear canal thickens to provide a protective barrier to cold water and wind. This bony growth obstructs the ear canal, interfering with conductive hearing as well as the ear’s natural ability to produce and get rid of excess earwax. The growth of new bone traps water as well as wax, and this trapped water makes the ears more susceptible to infections. People with untreated exostosis are more likely to develop multiple ear infections, resulting in pain and disrupted hearing. The symptoms of exostosis are sometimes compounded by a second issue: the hardening of the earwax, which also results from exposure to cold conditions. Symptoms of exostosis include pain, ringing in the ears (tinnitus), ongoing or intermittent hearing loss, and a “plugged up” sensation from water and wax becoming trapped in the ear canal. An exostosis growth can result from any outdoor activity which exposes the participant to cold, windy conditions, such as skiing, sailing, surfing, fishing, swimming or diving. To reduce the risk of developing this condition, it is best to avoid any outdoor activity on very cold, windy days, and to try to keep the ear canals as dry and warm as possible. Custom ear protection and swimming caps or hoods can help to protect the ears for those who spend a lot of time in the water or in wet conditions. Although exostosis does not go away on its own once it has developed, it can be treated with a surgical procedure and does not typically come back. The procedure, called a canalplasty, involves a surgeon removing the bony growth from the ear canal through an incision. After the surgery, it is vital that the patient avoid all cold-water activities for at least 8 weeks to reduce the risk of complications or an infection. You might be wondering how to safely remove an earwax blockage–the answer is not with cotton swabs! Here is a list of safe, doctor-approved ways to clean your ears if you have a troublesome wax buildup. 1) Be gentle and avoid overcleaning. Abrasive cleaning can actually irritate the ear canal and increase the risk of infections. 2) Don’t put any objects in your ears. Small objects such as cotton swabs and hairpins can damage the eardrums or the ear canal, leading to hearing problems and other symptoms. 3) Make an appointment with your doctor if you need assistance removing your earwax blockage, or if you have noticed any hearing loss, fullness in the ears, drainage or bleeding. Your doctor will want to rule out an ear infection as well. 4) Make a warm solution of water and olive oil, apple cider vinegar, baking soda, salt or hydrogen peroxide, and drip it into the ear while you are lying down. Wait 10 minutes, then thoroughly (and gently) dry the ear. This process will help to loosen the earwax so it can come out on its own. Repeat if necessary. Some people experience ear pain from simply being exposed to cold wind. Although this is not usually a sign of a bigger problem, it is important to keep your ears covered and warm while enjoying those winter activities. If you’ve experienced problems with your ears or hearing due to cold temperatures, visit us at HeaRite!